September 28, 2014 AF September 29. Here Lies Love is definitely a show not to be missed. It is an exhilarating and engaging theatrical experience, writes VIOLI CALVERT. 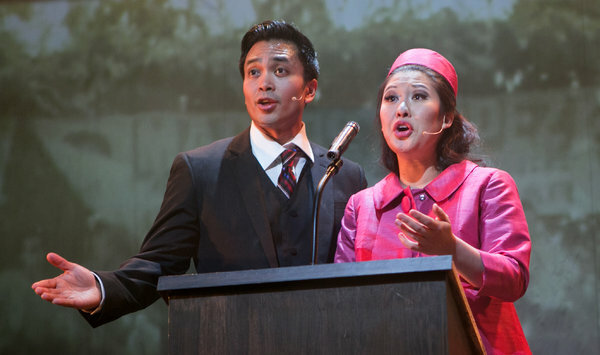 The musical focuses on the life of former Philippines’ First Lady Imelda Marcos and her husband former Philippine President (deceased) Ferdinand Marcos who placed the Philippines under Martial Law in order to hang on to his power beyond the two terms of four years provided by the country's constitution. The show is the product of the creative collaboration of David Byrne and DJ Fatboy Slim. David Byrne was well-known in the USA through his band ‘Talking Heads’ while DJ Fatboy Slim (real name is Norman Cook) is a famous disc jockey, musician, rapper and record producer. 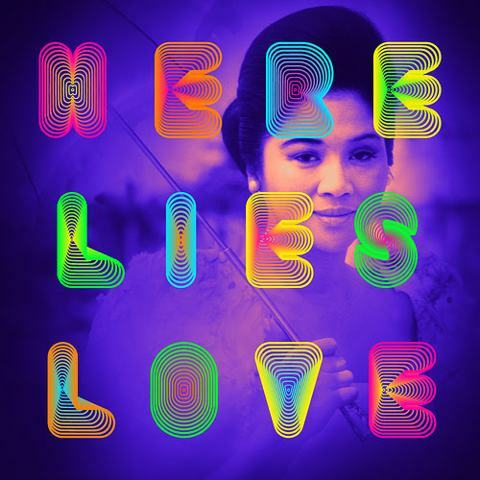 In an interview where Imelda was asked what she would like written on her tombstone, she replied, “Here lies love”, hence the title of the musical. The songs, which told the story of Imelda’s rise and fall with Ferdinand, were set to discotheque music and a clubby atmosphere. The musical had a successful run last year and came back in May this year for its second season at The Public Theater, off Broadway. 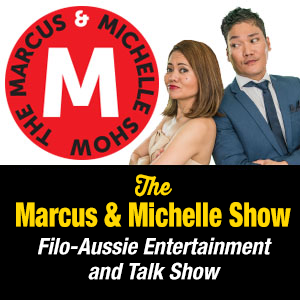 It has been getting a lot of rave reviews from theatre critics and showbiz journalists. 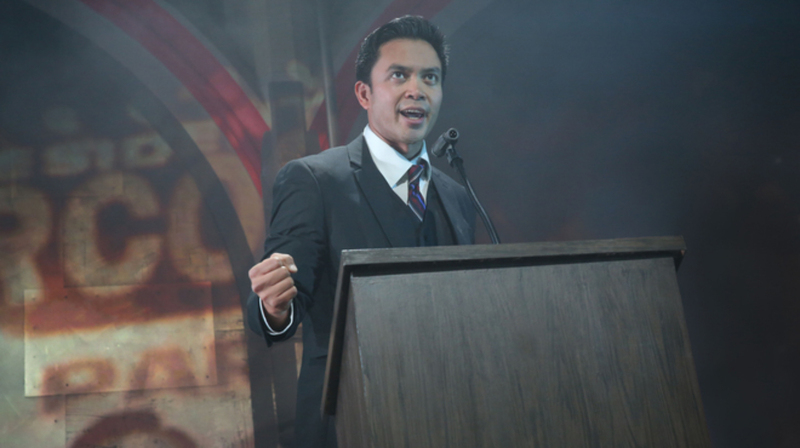 In fact, HLL did very well in the 29th annual Lucille Lortel Awards for Outstanding Achievement Off-Broadway. It bagged the most wins, with no less than five awards. The recognition includes Outstanding Director for Alex Timbers; Outstanding Lead Actress in a Musical for Ruthie Ann Miles (who plays the role of Imelda Marcos), Clint Ramos for Outstanding Costume Design; Justin Townsend Outstanding Lighting Design; and M.L. Dogg and Cody Spencer for Outstanding Sound Design. It is a truly immersive theatre with no seating for the audience (who becomes part of the play). 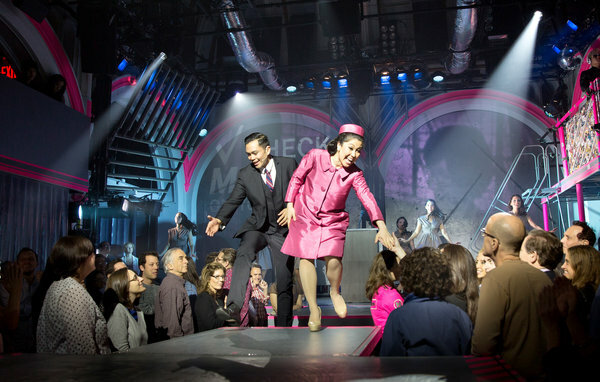 The audience bops with the music as they are shepherded by ushers in neon-light pink jumpsuits, in the direction of the moveable platforms which form part of the stage. Jose Llana’s singing, acting and dancing were engaging and impressive. He jumps on and off the moveable stage with equal vigour as the rest of the (mostly younger) cast. He duly portrayed the charming young Marcos on his rise to presidency to later becoming a ruthless dictator. Conrad Ricamora playing Nonoy Aquino likewise showed great talent in singing, acting and dancing. He gets the attention with leading songs like “Child of the Philippines”, Opposite Attraction”, “Seven Years” and “Gate 37”. The rest of the cast were impressive, too, with their strong vocal harmonies and precise dance steps. The musical uses a lot of footages which were flashed all around the screen and walls. Together with the ingenious use of sounds, they transport the audience in protest marches in Mendiola, near the Malacanang Palace. The story told is accurate, except for one scene, where Nonoy returned to the Philippines after spending a few years in the USA for ‘medical reasons’. It showed a couple of people holding “welcome” posters. 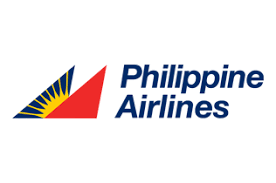 This did not happen as Nonoy’s return was a ‘classified information’ and arrangements were made for him to travel under another name and on a Chinese airline. The fact that he was shot as he descended the stairs from the aircraft showed that was an “inside job”. To indicate Nonoy’s arrival into the country, it would be more accurate just to show a sign ‘Manila Airport’ on the wall. “My mom and dad raised Ate and me with a good understanding and knowledge of why we left the Philippines, Martial Law, the Marcoses and what they did. I am actually proud to be able to tell a part of the Philippine history for the American and the Filipino-American audiences, especially the young ones who grew up here and not necessarily know that part of the Philippines history. Aside from being a great piece of entertainment, the show can claim three other ‘achievements’. The first one was as commented by Jose, and that is acquainting the audience with some knowledge of the Martial Law part of the Philippine history. 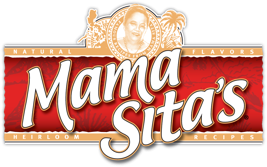 Secondly, it also presents a ‘legacy’ where the recorded cast album would be available for future generations also to hear the music and get a glimpse of the Marcos era in the Philippine history. 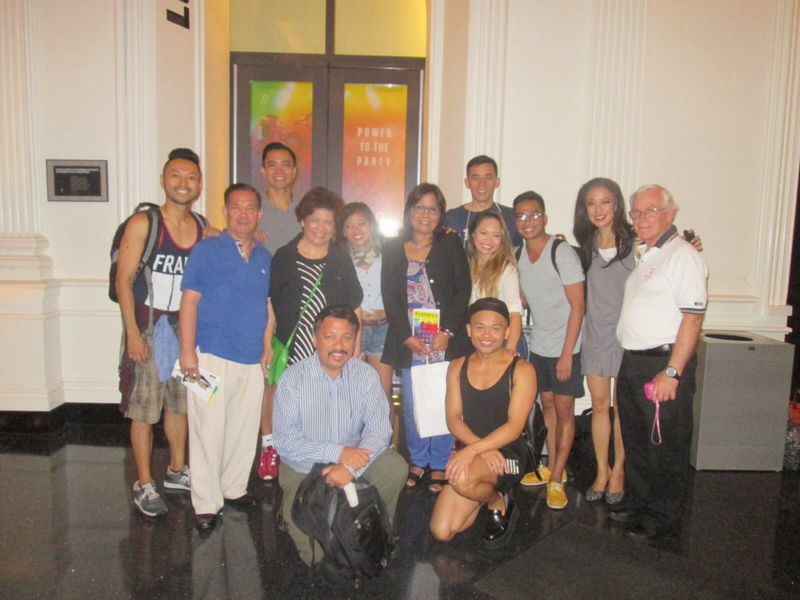 Lastly, the musical showcases the great talents of Filipino-American artists and reflect well on all Filipino artists. Of the seventeen cast members, only three are not of Filipino heritage; they are of Korean, Malaysian and Argentinean background. The rest are either full-blooded or half-blooded Filipinos. Jose is the only one in the cast who was born in the Philippines. With such a strong representation from the Philippines, the cast staged a concert version of the musical in November last year, raising $100,000 that went to Doctors Without Borders (they helped Haiyan Typhoon survivors in Tacloban and other parts of Leyte). 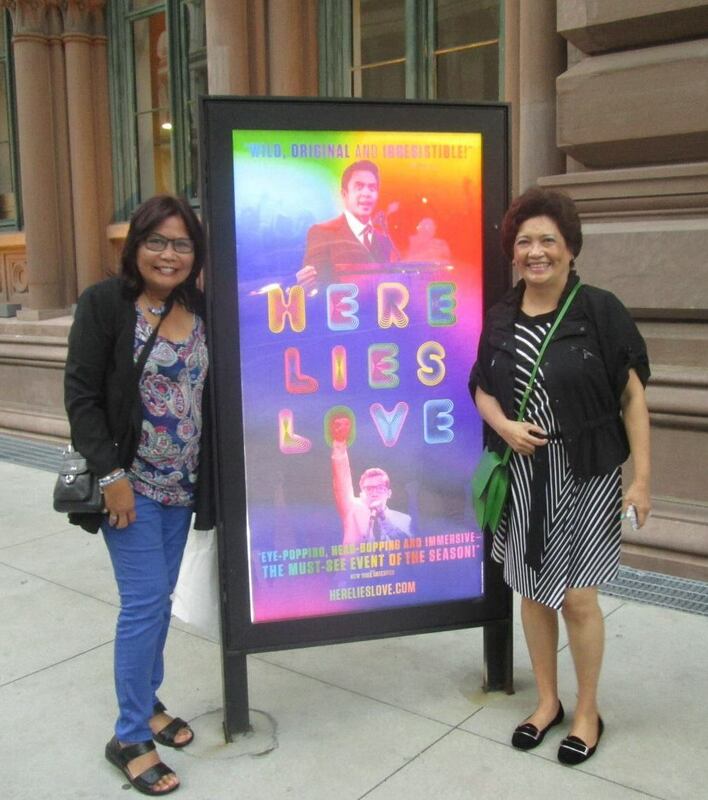 Here Lies Love cleverly uses energetic choreography, beautiful original music and footages to tell a part of the Philippine history through the life of Imelda Marcos and the people she interacted with along the way. I am ecstatic to hear the great news that the musical is coming to Sydney as part of the Vivid Sydney festival and highly recommend it. POST-SCRIPT: We almost did not make it to the show. My husband John and I were en route from Germany, and decided to do an overnight stop-over in New York to watch the musical with friends. The extra hours on the plane and waiting around at two airports (JFK and LAX) to go back to Sydney, to go that route did not deter us. We did face further delays (three hours!) on our flight from Berlin to New York due to work needed on a crack found on the plane’s cargo door. So instead of arriving at about 3pm, we landed in JFK at 6.25pm and had to line up through immigration processing (which felt like forever when you're rushing). We left the airport at 7.25pm but thanks to the clever dodging of traffic areas and speedy driving by our friend Joe, we got to the start of the show at 8pm. Just.